Samuel W. Alderson, the inventor of crash test dummies that are used to make cars, parachutes and other devices safer, has died. He was 90. Alderson died at home on Feb. 11 of complications from myelofibrosis, a bone marrow disorder, his son Jeremy said. Alderson grew up tinkering in his father's custom sheet-metal shop, worked on various military technology and by 1952 had formed Alderson Research Labs. 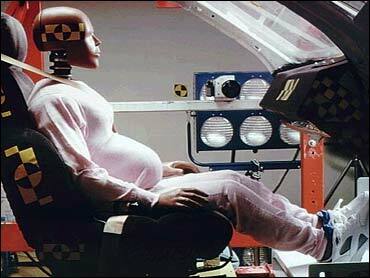 The company made anthropomorphic dummies for use by the military and NASA in testing ejection seats and parachutes. The dummies were built to approximate the weight and density of humans and hold data-gathering instruments. One type of dummy he developed measured radiation doses. There was little interest in his first automobile test dummy, he once said, until publication of Ralph Nader's consumer protection book "Unsafe at Any Speed" in 1965. The National Traffic and Motor Vehicle Safety Act was passed a year later. Before creating dummies, he worked on missile guidance systems and helped develop a coating to enhance vision on submarine periscopes during World War II. He left his original company in 1973 to form a competing crash test dummy maker, and the two companies were dominant in the market until eventually merging in 1990 to form First Technology Safety Systems. In addition to son Jeremy, he is survived by another son, a sister and four grandchildren.